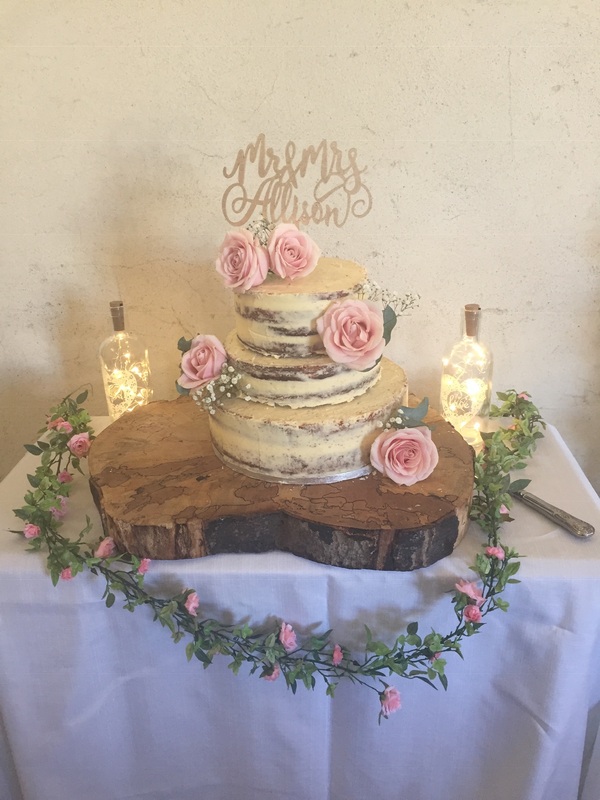 On Saturday 20th October, we had the pleasure of catering for the wedding of Holly and Chris who married, and held their reception, at the Oak Barn, near Exeter. 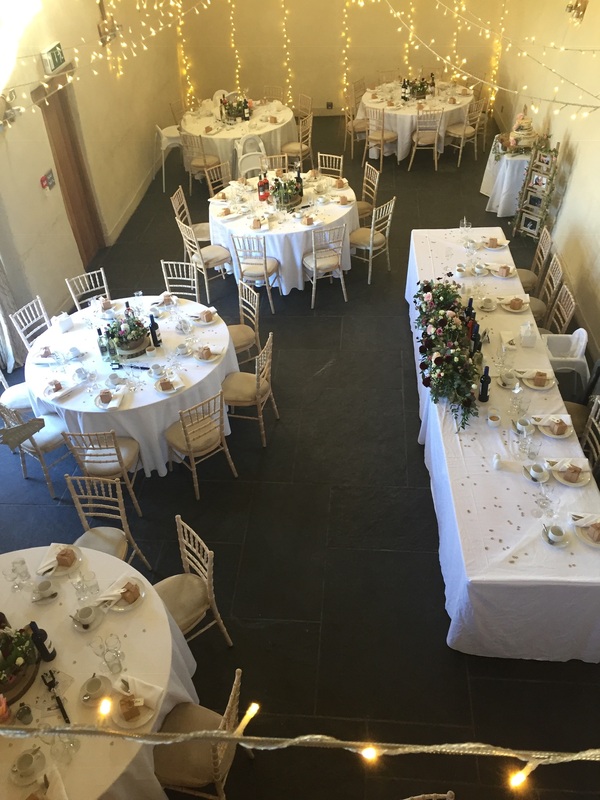 The venue is set in quintessentially Devon countryside with barns that the owners, Katherine and John have converted. The couple decorated the barn with lots of pretty tealights twinkling through glass jars laced with hessian. 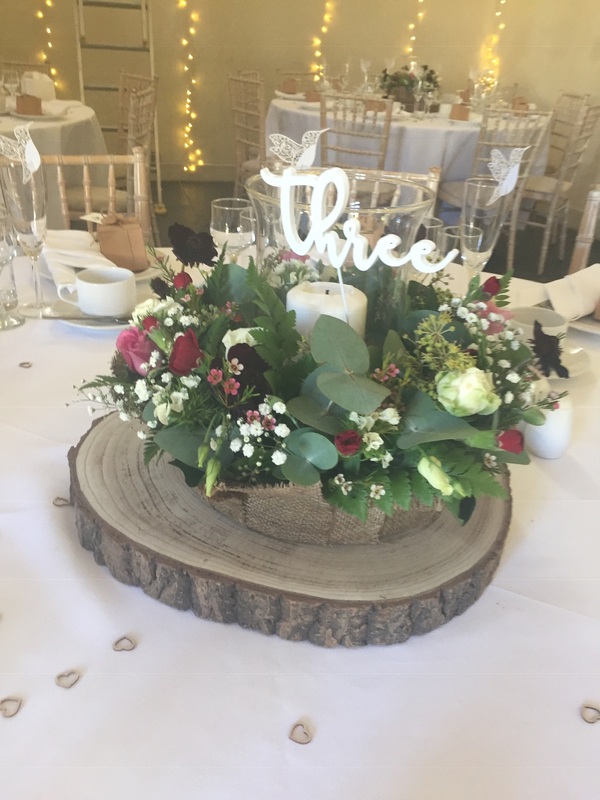 Whilst, each table was adorned with a rustic log slice and topped with a candle surrounded by beautifully arranged flowers. For the wedding breakfast, we served a traditional English afternoon tea. We began with freshly cut assorted sandwiches including home cooked honey glazed ham, tuna mayonnaise and cucumber, free range egg mayonnaise and cress and Tickler cheddar and chutney; alongside miniature steak and potato and cheese and onion pasties; and individual quiche Lorraine and individual broccoli and stilton quiche. We followed with the sweeter miniature desserts: homemade buttermilk scones with strawberry jam and Devon clotted cream, glazed lemon tarts, baby raspberry pavlovas and dark and white chocolate brownie all served with a cup of English breakfast tea or fresh filter coffee. As darkness fell, the couple cut their semi-naked wedding cake in front of their applauding family and friends before beginning their beautiful first dance. 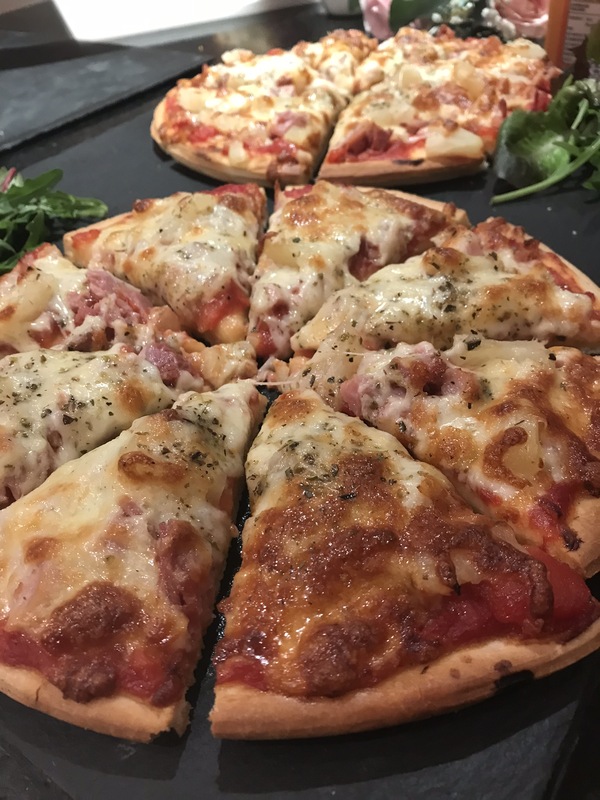 As the guests mingled, the drinks flowed and the disco began, we served a selection of homemade pizzas with a range of toppings adorning thin-crust, crispy pizzas. Margherita, barbecue chicken and Hawaiian all proving popular choices. Thank you Holly and Chris for allowing us to be a part of your special day and many congratulations once again. 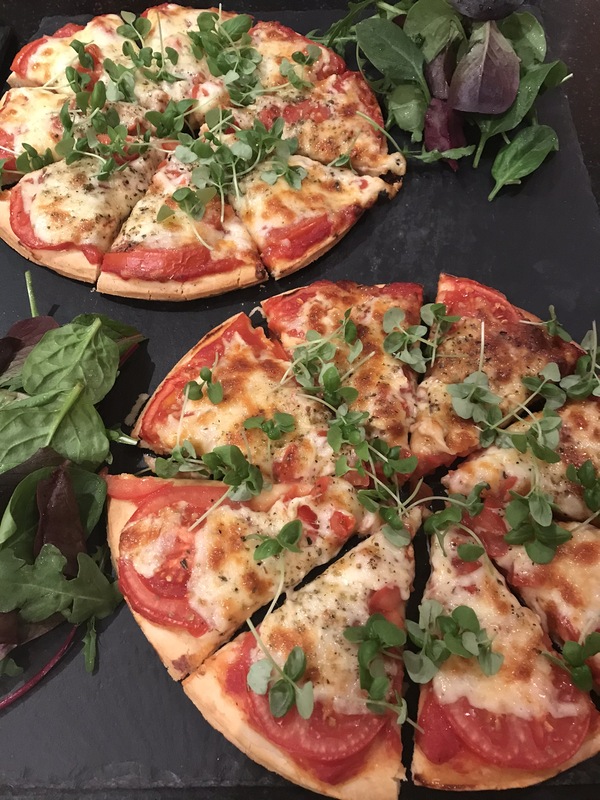 If you would like us to cater for your wedding, corporate event or family gathering, please do get in touch we would love to hear from you. Dates for 2020 are rapidly filling, so contact us now to avoid disappointment. Lovely reminder of a beautiful day and fab couple.